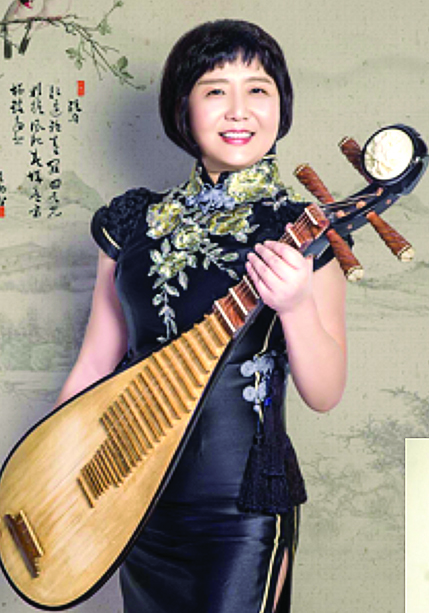 Gao Hong is a world-class musician who is as comfortable performing as a soloist with symphony orchestras worldwide as she is presenting family concerts is small communities. She has a great love for teaching and a great love for children, and she is very natural and charming when it comes to family concerts. The pieces she plays tell stories, and she relays these stories to the audience before each piece. 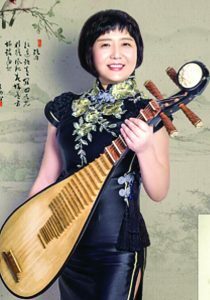 She begins her concert by demonstrating many different sounds the pipa is capable of making that are used in telling stories. She shows how the pipa can imitate the sounds of blowing wind, flowing water, bubbling water, cheering crowds, laughing people, conversing geese, canon shots, fireworks, percussion bands and more. Then she plays a piece that uses many of the sounds to tell a story, and clues the audience in on what to listen for. At the end of her concert, she asks for volunteers to come up and try to play some of the sounds she introduced at the beginning (with her help, of course).